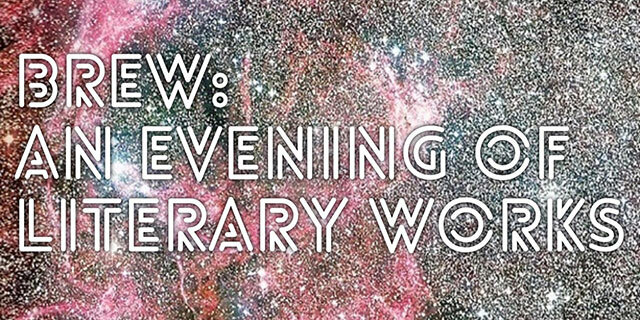 Brew: An Evening of Literary Works is somewhat nebulous and all-encompassing in name–intentionally so–so that no type of writing nor any sort of reader should ever be excluded. Brew is a concoction, a contriving, a plan, a mixture of unusual ingredients. Stephen Langlois founded the series in the fall of 2015, and currently hosts and curates each reading. Fiction, non-fiction, poetry, any genre whatsoever is welcome. If a reader would like to share the work of a writer they admire instead of their own they’re free to do so. If he or she would simply like to get up and relate some funny and / or tragic tale from their childhood why not? It’s happened at past iterations of Brew and will surely happen again. Hungry Ghost, a small café at 781 Fulton Street in Fort Greene, kindly offers their space for Brew. Brew takes place once a month–typically on the 2nd Thursday–and will continue unabated for the foreseeable future. More information can be found at: brewliteraryworks.wordpress.com. Submissions are always welcome via the site, though the majority of readers have thus far been solicited. This isn’t to say Brew is an insular community of writers. Quite often a reader comes to Brew via a recommendation of a friend of a friend and just as often this reader recommends another reader so that the community is always expanding. Brew was meant from the outset to be a casual, fun, often spontaneous affair–and is intended as well to be a safe, inculsionary space for readers of every race, gender, and sexual orientation. Each successive reading seems to further fulfill this goal. Brew’s main distinction is its general informality. This isn’t to say we don’t take literature seriously. However, the public reading of such doesn’t necessarily have to entail an audience sitting stiffly in folding chairs while a reader intones solemnly at them. In the past, Brew readers have asked the audience to vote on which work should be read. Still others have decided to switch halfway through their reading from poetry to fiction–or vice versa. Often, readers and audience members will find themselves afterwards discussing a work’s thematic or emotional resonance. Brew is less of a traditional reading and more of a public conversation among like-minded, literary-leaning folks. The next Brew is schedule for Thursday April 14th, 2016 at 7p.m. at Hungry Ghost (781 Fulton St.) and will feature readings by Morgan Beatty, Bud Smith and Abigail Welhouse.